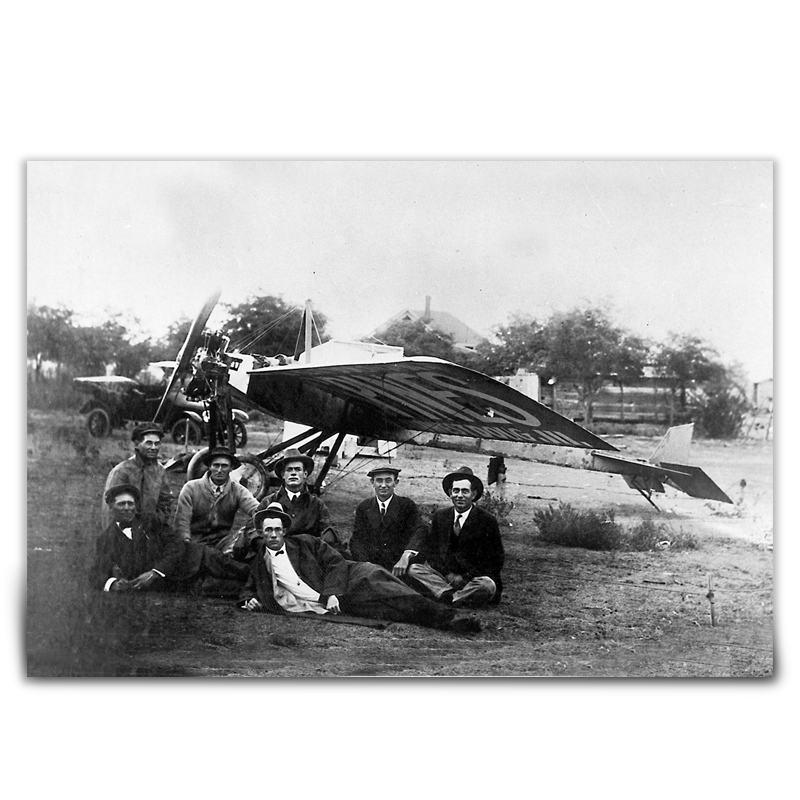 Clyde Cessna, second from the right, poses with his 1916 airplane, the first Cessna aircraft built in Wichita, Kansas. This photograph was taken at Beaver, Oklahoma, with the Beaver Boosters. Cessna made the first successful flight of his own airplane in Oklahoma in June 1911. In 1925 he joined Walter Beech and Lloyd Stearman in forming Travel Air Manufacturing Company. From the collections of the Kansas Historical Society, the print was produced for the Kansas Historical Foundation.